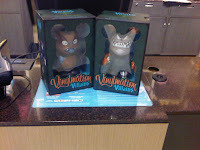 Update: 4/11/11 The Playwright visited the NYC Disney Store this morning and emailed us some pictures. 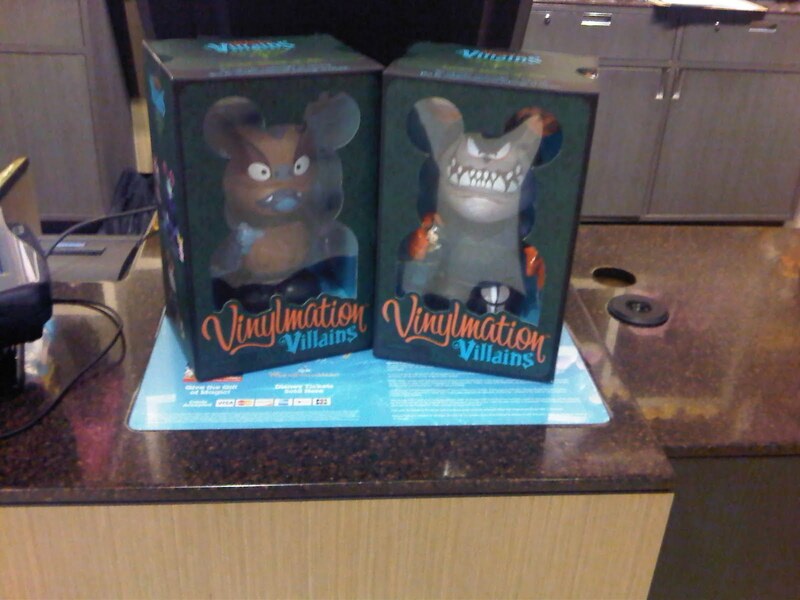 A couple things to note: The new box is taller with a larger open window front design and an artist card is included. 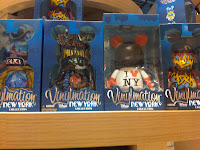 Update: 4/9/11 Vinylmation.com’s blog confirmed the edition size as 1540. They also listed the price at $49.95. They also will be individually numbered. 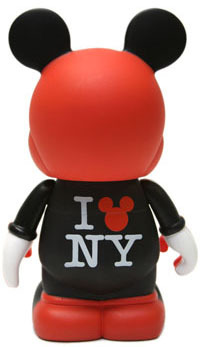 3/31/11 Disney’s official Facebook page released this image of a new 9″ LE Vinylmation that will released on April 10th exclusive to the NYC Times Square Disney Store. This design is by Marcella Lau. Confirmed LE of 1540. Then Disney’s blog released a turn around of the figure. Here’s the back side! 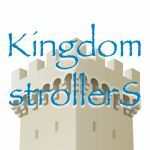 “I really like the simple design of this piece. 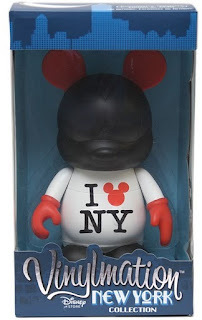 If it were a 3″ I’d definitely purchase it. Well, if I found my way to NYC. It would look really cool with the artist’s signature on the head.” -M.C. 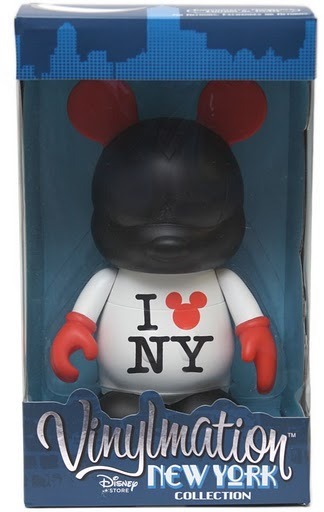 Will you pick this souvenir up on your next trip to NYC? 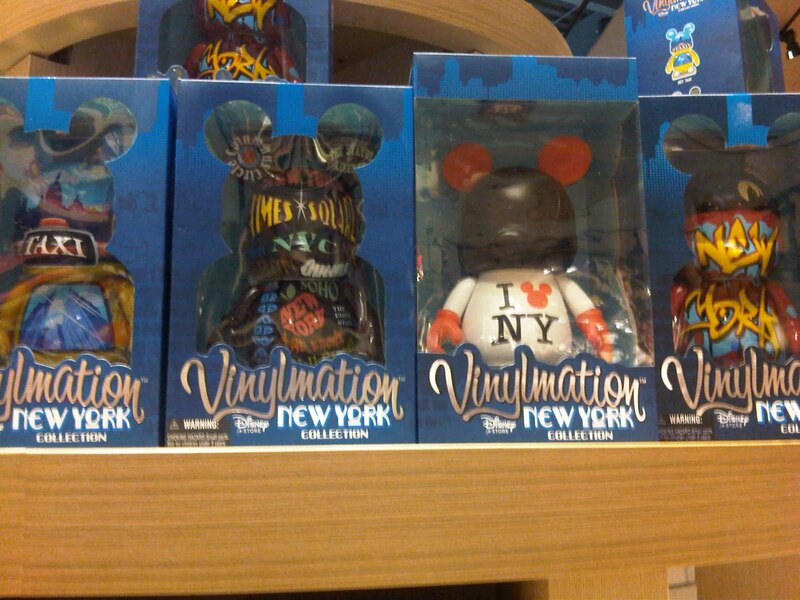 Check out these previously released NYC Exclusives Hey Taxi, Graffiti, New York, New York, and Statue of Liberty Minnie.